Iron Man 3 (stylized onscreen as Iron Man Three) is a 2013 American superhero film featuring the Marvel Comics character Iron Man, produced by Marvel Studios and distributed by Walt Disney Studios Motion Pictures.1 It is the sequel to 2008's Iron Man and 2010's Iron Man 2, and the seventh film in the Marvel Cinematic Universe. Shane Black directed a screenplay he co-wrote with Drew Pearce, which uses concepts from the "Extremis" story arc by Warren Ellis. The film stars Robert Downey Jr., Gwyneth Paltrow, Don Cheadle, Guy Pearce, Rebecca Hall, Stephanie Szostak, James Badge Dale, Jon Favreau, and Ben Kingsley. In Iron Man 3, Tony Stark deals with posttraumatic stress disorder caused by the events of The Avengers, while investigating the reemergence of the Ten Rings, led by the mysterious Mandarin and comes into a conflict with old enemy; Aldrich Killian. After the release of Iron Man 2 in May 2010, Favreau, who served as director, decided not to return, and in February 2011 Black was hired to write and direct the film. Black and Pearce opted to make the script more character-centric and focused on thriller elements. Throughout April and May 2012, the film's supporting cast was filled out, with Kingsley, Pearce, and Hall brought in to portray key roles. Filming began on May 23, and lasted through December 17, 2012, primarily at EUE/Screen Gems Studios in Wilmington, North Carolina. Additional shooting took place at various locations around North Carolina, as well as Florida, China, and Los Angeles. The visual effects were handled by 17 companies, including Scanline VFX, Digital Domain, and Weta Digital. The film was converted to 3D in post-production. Iron Man 3 premiered at Le Grand Rex in Paris on April 14, 2013. It began its release on April 25, 2013, internationally, and debuted in the United States one week later on May 3. The film received generally positive reviews and was commercially successful, grossing over $1.2 billion worldwide, the second highest-grossing film of 2013 overall, and the second-highest-grossing film at the domestic box office released in 2013. It became the sixteenth film to gross over $1 billion and currently ranks as the 10th-highest-grossing film of all time, with its opening weekend ranked as the 12th-highest-grossing opening of all time. The film also received a nomination for Academy Award at the category of Best Visual Effects, and received another nomination for BAFTA Award at the same category. Years later, six months after the Battle of New York,[N 1] Stark's experiences during the alien invasion are giving him panic attacks. Restless, he has built several dozen Iron Man suits, creating friction with his girlfriend Pepper Potts. Meanwhile, a string of bombings by a terrorist known only as the Mandarin has left intelligence agencies bewildered by a lack of forensic evidence. Stark's security chief Happy Hogan is badly injured in a Mandarin attack, causing Stark to issue a televised threat to the Mandarin, who responds by destroying Stark's home with helicopter gunships. Hansen, who came to warn Stark, survives the attack along with Potts. Stark escapes in an Iron Man suit, which his artificial intelligence J.A.R.V.I.S. pilots to rural Tennessee, following a flight plan from Stark's investigation into the Mandarin. Stark's experimental armor lacks sufficient power to return to California, and the world believes him dead. Teaming with Harley, a precocious 10-year-old boy, Stark investigates the remains of a local explosion bearing the hallmarks of a Mandarin attack. He discovers the "bombings" were triggered by soldiers subjected to Extremis, which at this stage of development caused certain subjects to explosively reject the treatment. After veterans started exploding, these explosions were falsely attributed to a terrorist plot in order to cover up Extremis's flaws. Stark witnesses Extremis firsthand when Mandarin agents Brandt and Savin attack him. Killian has manipulated American intelligence agencies regarding the Mandarin's location, luring James Rhodes – the former War Machine, now re-branded as the Iron Patriot – into a trap to steal the armor. With Harley's help, Stark traces the Mandarin to Miami and infiltrates his headquarters using improvised weapons. Inside he discovers the Mandarin is actually an English actor named Trevor Slattery, who says he is oblivious to the actions carried out in his image. Killian, who appropriated Hansen's Extremis research as a cure for his own disability and expanded the program to include injured war veterans, reveals he is the real Mandarin, using Slattery as a cover. After capturing Stark, Killian shows him Potts (whom he had kidnapped) being subjected to Extremis, in order to gain Stark's aid to fix Extremis's flaws and thus save Potts. Killian kills Hansen when she has a change of heart and tries to stop him. Stark escapes and reunites with Rhodes, discovering that Killian intends to attack President Ellis aboard Air Force One. Stark saves some surviving passengers and crew but cannot stop Killian from abducting Ellis and destroying Air Force One. They trace Killian to an impounded damaged oil tanker where Killian intends to kill Ellis on live television. The vice president will become a puppet leader, following Killian's orders in exchange for Extremis to cure his young daughter's disability. On the platform, Stark goes to save Potts, as Rhodes saves the president. Stark summons his Iron Man suits, controlled remotely by J.A.R.V.I.S., to provide air support. Rhodes secures the president and takes him to safety, while Stark discovers Potts has survived the Extremis procedure. However, before he can save her, a rig collapses around them and she falls to her apparent death. Stark confronts Killian and traps him in an Iron Man suit that self-destructs, but fails to kill him. Potts, whose Extremis powers allowed her to survive her fall, intervenes and kills Killian. After the battle, Stark orders J.A.R.V.I.S. to remotely destroy each Iron Man suit as a sign of his devotion to Potts, while the vice president and Slattery are arrested. With Stark's help, Potts' Extremis effects are stabilized, and Stark undergoes surgery to remove the shrapnel embedded near his heart. He pitches his obsolete chest arc reactor into the sea, musing he will always be Iron Man. In a present day post-credits scene, Stark wakes up Dr. Bruce Banner, who fell asleep listening to his story. Stark's girlfriend, longtime associate, and the current CEO of Stark Industries. Paltrow says of her character's relationship to Tony, "[She still] adores Tony, but she absolutely gets fed up with him. He gets caught in a feedback loop." Kevin Feige comments on Pepper's role in the film: "The love triangle in this movie is really between Tony, Pepper and the suits. Tony, Pepper and his obsession with those suits, and the obsession with technology." Feige also states that the film uses the character to play with the damsel in distress trope, and posits the question, "Is Pepper in danger or is Pepper the savior?" The creator of the Extremis virus and the founder and owner of the science and development organisation Advanced Idea Mechanics, who adopts the mantle of the Mandarin as his own. Killian develops Extremis to cure his own debilitating disability; in addition to his regenerative healing qualities, he has superhuman strength and the ability to generate extreme heat. Prolonged exposure to Extremis also grants him the ability to breathe fire. On taking the role, Pearce said, "I feel a little more experimental in what I'll take on these days, but I still don't know that I would want to play the superhero myself, since I'm playing a different kind of character in this film... The main difference was that, when I did The Time Machine, I was pretty much in all of it, so it was a really grueling experience. Prometheus and Iron Man are really kind of cameo stuff, so the experience of shooting them... I mean, on some level, it's tricky because you feel like a bit of an outsider. You don't really live the experience that you do when you're there all day every day with everybody. But at the same time, it can be more fun sometimes because you're just working in concentrated spurts." Pearce described his character as a man "who came into this world with a number of physical disabilities. He's never been able to accept those limitations though and has spent most of his life trying to overcome them in any way he can. His tenacity and blind determination in fighting for a better life are seen by some as irritating, as he often comes across as obnoxious. He just won't accept the cards he was dealt, and being as intelligent as he is, has real drive to change and become a different person." Shane Black specified, "Ultimately we do give you the Mandarin, the real guy, but it's Guy Pearce in the end with the big dragon tattooed on his chest." He elaborated, "Do they hand me a blank check and say, 'Go break something!' Or, 'Go violate some long-standing comic book treaty that fans have supported for years?' No, but they'll say: 'Let's break something together.' So it's okay to come up with these crazy things, these far out ideas … and they'll fly. It's just that the Marvel guys have to be in the room." A geneticist whose work helped Killian to create Extremis. Hall said Hansen would be a "strong female character," and described her decision to take the role, saying, "I decided to do Iron Man 3 because I've never done the 'hurry up and wait' movie before. Even the studio movies I've done have been small studio movies, or indie films that we made on a wing and a prayer. I love those, but Iron Man is refreshing in a way because it's something out of my realm of experiences." Hall confirmed that her character's role was greatly reduced in the final film, saying, "I signed on to do something that was a substantial role. She wasn’t entirely the villain – there have been several phases of this – but I signed on to do something very different to what I ended up doing." A war veteran who becomes an assassin after her exposure to Extremis. Describing Brandt, Szostak says, "... [Extremis] was a second chance at life. We talked about what you feel like and I think it almost makes you a fuller version of who you are, all your weakness and your qualities – just everything gets enhanced. I saw it as very freeing, almost you become your true-self and your fantasy-self all at once." The writers originally envisioned Brandt as Killian's main henchman, which would return throughout the movie to fight Tony, but eventually that role was reassigned to Eric Savin. Tony Stark's former bodyguard and chauffeur, and now serves as Stark Industries head of security department. Favreau, who served as both actor and director on the previous two Iron Man films, said participating in the new film was "like [being] a proud grandfather who doesn't have to change the diapers but gets to play with the baby." A British actor with substance-abuse problems whom Killian hired to portray the Mandarin, a terrorist persona in jammed television broadcasts, in which he is depicted as the leader of the international terrorist organization the Ten Rings. Kingsley was filming Ender's Game when he was cast, and said that, "Quite soon I'll be with everybody and we'll be discussing the look and the feel and the direction of the character. It's very early days yet, but I'm so thrilled to be on board." On his performance, Kingsley stated: "I wanted a voice that would disconcert a Western audience. I wanted a voice that would sound far more homegrown and familiar—a familiarity like a teacher's voice or a preacher's voice. The rhythms and tones of an earnest, almost benign, teacher—trying to educate people for their own good." The Mandarin was initially set to appear in the first Iron Man film, but he was put off for a sequel as the filmmakers felt that he was "too ambitious for a first [film]." On the character, Feige stated, "The Mandarin is [Iron Man's] most famous foe in the comics mainly because he's been around the longest. If you look, there's not necessarily a definitive Mandarin storyline in the comics. So it was really about having an idea." Shane Black explains that Ben Kingsley's Mandarin is not Chinese in the film as he is in the comics in order to avoid the Fu Manchu stereotype: "We're not saying he's Chinese, we're saying he, in fact, draws a cloak around him of Chinese symbols and dragons because it represents his obsessions with Sun Tzu in various ancient arts of warfare that he studied." The filmmakers also cited Colonel Kurtz from Apocalypse Now as an influence for the character. The videos where the Mandarin give historical background to the attacks expressed how it emerged as the product of "a think tank of people trying to create a modern terrorist." Thus the Mandarin "represents every terrorist in a way," from South American insurgency tactics to the videos of Osama bin Laden. Paul Bettany reprises his role from previous films as J.A.R.V.I.S., Stark's AI system. Ty Simpkins portrays Harley Keener, a boy who becomes Stark's sidekick, as part of a three-picture deal with Marvel Studios. Ashley Hamilton portrays Taggart, one of the Extremis soldiers. William Sadler plays President Ellis, (named after Warren Ellis, who wrote the "Extremis" comics arc that primary influenced the film's story) and Miguel Ferrer plays Vice President Rodriguez. Adam Pally plays Gary, a cameraman who helps Stark. Shaun Toub reprises his role as Yinsen from the first Iron Man film in a brief cameo, and Stan Lee makes a cameo appearance as a beauty pageant judge. Dale Dickey plays Mrs. Davis, mother of an Extremis subject that is framed as a terrorist. Wang Xueqi briefly plays Dr. Wu in the general release version of the film. A cut of the film produced for release exclusively in China includes additional scenes featuring Wang and an appearance by Fan Bingbing as one of his assistants. Mark Ruffalo makes an uncredited cameo appearance, reprising his role as Dr. Bruce Banner from The Avengers, in a post-credits scene. Comedians Bill Maher and Joan Rivers and Fashion Police co-host George Kotsiopoulos have cameo appearances as themselves on their respective real-world television programs, as do newscasters Josh Elliott, Megan Henderson, Pat Kiernan, and Thomas Roberts. "Truthfully, the way to go about doing a part 3, if you're ever in that position, as I'm lucky enough to be, is to find a way that the first two weren't done yet. You have to find a way to make sure that the story that's emerging is still ongoing and, by the time you've finished 3, will be something resembling the culmination of a trilogy. It's about, 'How has the story not yet been completely told?,' and I think we're getting there. I think we've really found ways to make this feel organic and new, based on what's come before, and that's what I'm happy about." Following the release of Iron Man 2, a conflict between Paramount Pictures, which had distribution rights to certain Marvel properties, and The Walt Disney Company, Marvel Entertainment's new corporate parent, clouded the timing and the distribution arrangement of a possible third film. On October 18, 2010, The Walt Disney Studios agreed to pay Paramount at least $115 million for the worldwide distribution rights to Iron Man 3, with Disney, Marvel, and Paramount announcing a May 3, 2013 release date for the film. The film's plot is influenced primarily from "Extremis," the 2005-2006 Iron Man comics storyline written by Warren Ellis. The first two acts would remain character-centric, albeit in Shane Black's words "more hectic, frenetic, and large scale" to fulfill its sequel obligations, with the third act going for more over-the-top action to what Drew Pearce described as "giving a sense of opera." The middle act was compared to Sullivan's Travels in having Tony meeting various people on his journey, and the writers made sure to not make the characters too similar. The initial draft had Maya Hansen herself leading the villainous operation, with the Mandarin and Killian emerging as antagonists in later versions of the script. During one of the writing sessions, Pearce suggested that the Mandarin was a fake, and Black agreed by going with making him an actor, which in turn Pearce detailed as an overacting British stage performer. Black explained: "Who would be fool enough to declare that is an international terrorist? If you're smart, whatever regime you're part of, you'd put a puppet committee and remain your house." In turn Killian would hide Slattery in "his own frat house, in kind of a drug-related house arrest" to keep the secret alive. According to Black, the reveal of the actual villain being Hansen was "like Remington Steele, you think it’s the man but at the end, the woman has been running the whole show." The role was eventually shifted to Killian because of objections by Marvel Entertainment executives, who were concerned with apparent merchandising losses that could come with having a female villain. The roles of several other major female characters were also made smaller in the final film compared to earlier drafts. Both the opening and the ending of the film were reworked in various ways. First it would begin with a flashback to Tony's childhood. Then like Iron Man it would begin in medias res, with Tony crashing in Tennessee before a voiceover that would lead to how he got there, until it got changed to the final version. For the climactic tanker battle, it was originally considered that Brandt would show up in the James Bond tradition of the henchman coming back for the heroes. Instead they chose to use Killian himself, and have Pepper, whom he abused earlier, cause his downfall as a way of poetic justice. The final dialogue was originally written as "I am Tony Stark" to be a response to the first film's ending, but eventually it changed to "I am Iron Man" to enhance the mythical qualities. 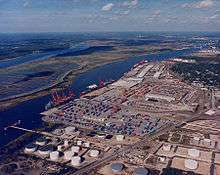 In September 2011, Marvel Studios reached an agreement to shoot the film primarily out of EUE/Screen Gems Studios in Wilmington, North Carolina. Michigan was also in contention to land the production, but the Michigan Film Office could not match North Carolina's tax incentives. In April 2012, Ben Kingsley entered into negotiations to play a villain in Iron Man 3. The following week, producer Kevin Feige revealed that Iron Man 3 would begin shooting in North Carolina "in five weeks," and said that it "is a full-on Tony Stark-centric movie... very much inspired by the first half of Iron Man ... [H]e's stripped of everything, he's backed up against a wall, and he's gotta use his intelligence to get out of it. He can't call Thor, he can't call Cap, he can't call Nick Fury, and he can't look for the Helicarrier in the sky." A few days later, The Walt Disney Company China, Marvel Studios and DMG Entertainment announced an agreement to co-produce Iron Man 3 in China. DMG partly financed, produced in China with Marvel, and handled co-production matters. DMG also distributed the film in China in tandem with Disney. The next week, Guy Pearce entered into final talks to play Aldrich Killian, a character who is featured in the "Extremis" comic book story arc. Chinese star Andy Lau became involved in negotiations to join the film, as a Chinese scientist and old friend of Stark's who comes to his aid. Lau would later turn down the role, and Wang Xueqi was cast instead. Jessica Chastain entered into discussions for a role in the film, but bowed out due to scheduling conflicts. In May, Rebecca Hall was cast in her place, and her role was described as "a scientist who plays a pivotal role in the creation of a nanotechnology, known as Extremis." Over the next few weeks, James Badge Dale was cast as Eric Savin, Ashley Hamilton was cast as Firepower, and Favreau returned to reprise his role as Happy Hogan from the first two films. Stephanie Szostak and William Sadler were also cast in the film, with Sadler playing the President of the United States. Despite erroneous early reports that Cobie Smulders would reprise her role as Maria Hill from The Avengers in the film, Smulders wrote on her verified Twitter page that this was not so. Filming began in Beijing, China on December 10. Filming was scheduled to wrap a week later on December 17, 2012. The China filming did not include the main cast and crew. In January 2013, it was reported that a film crew led by Shane Black would begin location scouting in Hyderabad, India and Bengaluru, India between January 20 and 24. Also in January, Cheadle confirmed that reshooting was taking place in Manhattan Beach. Shooting also took place on the week of January 23, 2013 at TCL Chinese Theatre in Hollywood. A major part of the content filmed in the reshoots regarded the Mandarin, with Drew Pearce saying that in early cuts, the character "didn't feel real enough — there wasn't a sense of him being [part of] the real world, mostly because he was just looking down a lens and threatening the world." Digital Domain, Scanline VFX and Trixter each worked on separate shots featuring the Mark 42 armor, working with different digital models. The studios shared some of their files to ensure consistency between the shots. For the Mark 42 and Iron Patriot armors, Legacy Effects constructed partial suits that were worn on set. Townsend explained that "Invariably we'd shoot a soft-suit with Robert then we'd also put tracking markers on his trousers. He would also wear lifts in his shoes or be up in a box so he'd be the correct height—Iron Man is 6'5". During shooting we used multiple witness cams, Canon C300s, and we had two or three running whenever there was an Iron Man or Extremis character." The artists studied time lapse photography of decaying fruit and vegetables and actual phenomena such as the aurora borealis as reference for the effect of the glowing Extremis characters. In October 2012, Brian Tyler signed on to score the film. According to Tyler, he was approached more for his "thematic" scores such as The Greatest Game Ever Played, Annapolis and Partition rather than his "modern" action scores such as The Fast and Furious films, with Kevin Feige asking a theme that was recognizable and featured those dramatic tones. To employ the "deeply thematic component with a strong melody," the score employs mostly orchestra sounds. The main theme for Iron Man focuses on horns and trumpets, to be "both a march and anthem." Tyler mentioned that John Williams' work in Raiders of the Lost Ark was the first thing he thought as an influence, and the cue for the Well of Souls in Raiders influenced the Extremis motif, as Tyler felt it should enhance an spiritual side for having a "technology so advanced that nears magic." Echoing the Mandarin's amalgamated personality, his theme was religious music "that borrows from many cultures," from "Monastic, Gothic, and Christian chants to music from the Middle-East." The score was recorded with the London Philharmonic Orchestra at Abbey Road Studios. Tyler is the third primary composer to score an Iron Man film, following Ramin Djawadi of Iron Man and John Debney of Iron Man 2. Robert Downey, Jr. and Gwyneth Paltrow in Paris at the film's French Premiere at Le Grand Rex, April 2013. Iron Man 3 was distributed worldwide by Walt Disney Studios Motion Pictures1 with the exception of China, where it was released by DMG Entertainment, and Germany and Austria, where it was released by Tele München Group. The Chinese version of the film offers specially prepared bonus footage made exclusively for the Chinese audience. This version features a four-minute longer cut of the film, with a scene showing Dr. Wu on the phone with Iron Man visible on a television screen behind him, as well as a longer scene of Dr. Wu operating on Stark. The extra material also features product placement for various Chinese products. The film's premiere happened at Le Grand Rex in Paris, on April 14, 2013, with Robert Downey, Jr. and Gwyneth Paltrow in attendance. While the UK premiere of the film was originally set for April 17, the funeral of former British Prime Minister Margaret Thatcher taking place in that date made the event be pushed to the following day. Downey, Ben Kingsley and Rebecca Hall were present for the advance screening at London's Odeon Leicester Square. The El Capitan Theatre in Los Angeles hosted the United States premiere of Iron Man 3 on April 24. The film opened in 46 countries through April 22–24, with the United States release, in 4,253 screens, happening one week later. Regal Cinemas, AMC Theatres and Carmike Cinemas put presale tickets on hold, two weeks before the US premiere. The cinemas were in a contract dispute with Disney, who wished to receive more of the ticket sale profit than they currently did, largely based on the projected premiere-weekend intake Iron Man 3 was expected to have. Carmike was the first to come to terms with Disney. It was later reported that Cinemark Theatres had also stopped selling presale tickets, and Regal Cinemas had removed all marketing material for the film from its locations. On April 25, 2013, Regal, AMC and Disney ended their dispute, which allowed Regal and AMC to proceed with selling presale tickets again. In July 2012, at the San Diego Comic-Con International, a new Iron Man armor from the movie, the Mark XLII, was on display on the convention floor, along with the Marks I-VII from the first two Iron Man movies and The Avengers. A panel was held, during which Shane Black, Robert Downey, Jr., Don Cheadle, Jon Favreau and Kevin Feige discussed making the film, and several minutes of footage from the movie were shown. The first television advertisement aired during Super Bowl XLVII on the CBS network in the United States. On March 25, 2013, Marvel and Disney revealed on the official Iron Man Facebook page, "Iron Man 3: Armor Unlock," to reveal suits Stark has made before the events of the film. In January 2013, Marvel Comics released a two-issue comic book prelude by writers Christos Gage and Will Corona Pilgrim with art by Steve Kurth and Drew Geraci. The story set between the second and third Iron Man films centers on War Machine, revealing why he was absent during the battle in New York of The Avengers. Disney also promoted the film at its domestic theme parks. Disneyland's Innoventions attraction received a Stark Industries exhibit beginning April 13, and Monorail Black of the Walt Disney World Monorail System was given an exterior Iron Man scheme. The exhibit, entitled Iron Man Tech Presented by Stark Industries, features the same armor display that was shown at the 2012 San Diego Comic-Con, with the Marks I-VII and the new Mark XLII. In addition, there is a simulator game, titled "Become Iron Man," that uses Kinect-like technology to allow the viewer to be encased in an animated Mark XLII armor and take part in a series of "tests,” in which you fire repulsor rays and fly through Tony Stark's workshop. The game is guided by J.A.R.V.I.S., who is voiced again by Paul Bettany. The exhibit also has smaller displays that include helmets and chest pieces from the earlier films and the gauntlet and boot from an action sequence in Iron Man 3. Iron Man 3 was released by Walt Disney Studios Home Entertainment in digital download form on September 3, 2013. This was followed by the film's release on Blu-ray disc, 3D Blu-ray, DVD, digital copy, and on demand on September 24, 2013. The home video release includes a Marvel One-Shot short film titled Agent Carter starring Hayley Atwell as Peggy Carter from Captain America: The First Avenger. It debuted atop the DVD and Blu-ray charts in the United States, and second in the rental charts behind World War Z. As of January 31, 2014, Iron Man 3 is the eighth best-selling DVD of 2013, earning more than $79 million in sales in the U.S.
Iron Man 3 grossed $409 million in North America and $806.4 million in other countries for a worldwide total of $1.2 billion. Worldwide, it is the 10th highest-grossing film, the second highest-grossing film of 2013, the third-highest-grossing film of the Marvel Cinematic Universe (behind Marvel's The Avengers and Avengers: Age of Ultron), the highest-grossing film of the Iron Man film series, the fifth highest-grossing film distributed by Disney, and the highest-grossing threequel. It achieved the sixth-largest worldwide opening weekend with $372.5 million. On the weekend of May 3–5, 2013, the film set a record for the largest worldwide weekend in IMAX with $28.6 million. On its 23rd day in theaters, Iron Man 3 became the sixth Disney film and the 16th film overall to reach $1 billion. It is the first Iron Man film to gross over $1 billion, the second Marvel film to do so after The Avengers, and the fourth-fastest film to reach the milestone. As part of the earlier distribution agreement made with Disney in 2010, Paramount Pictures received 9% of the box office gross generated by Iron Man 3. Deadline.com calculated the net profit of the film to be $391.8 million, when factoring together all expenses and revenues for the film. Iron Man 3 is the 18th highest-grossing film, the second highest-grossing 2013 film, as well as the fourth highest-grossing comic-book and superhero film. By the end of its opening day, Iron Man 3 made $68.9 million (including $15.6 million from late Thursday shows), achieving the seventh highest-grossing opening day. By the end of its opening weekend, the film earned $174.1 million, making it the fourth-highest opening weekend of all time (behind Jurassic World, The Avengers, and Avengers: Age of Ultron). Of the opening-weekend audience, 55% was over 25 years old, and 61% were males, while only 45% of the gross originated from 3-D screenings. Opening-weekend earnings from IMAX amounted to $16.5 million. It topped the box office during two consecutive weekends and achieved the fifth largest second-weekend gross with $72.5 million. Iron Man 3 is the 10th-highest-grossing film, the second highest-grossing 2013 film, the second-highest-grossing superhero and comic-book film, and the fifth-highest-grossing film distributed by Disney. The film earned $13.2 million on its opening day (Wednesday, April 24, 2013) from 12 countries. Through Sunday, April 28, it earned a five-day opening weekend of $198.4 million from 42 countries. The film's opening-weekend gross included $7.1 million from IMAX venues. It set opening-day records in the Philippines (surpassed by Man of Steel), Taiwan, Singapore, Vietnam, Malaysia, China, Ukraine, Russia and the CIS, both single and opening day records in Thailand and South Africa, as well as a single-day record in Hong Kong. It also scored the second-biggest opening day in Argentina (only behind Harry Potter and the Deathly Hallows – Part 2). The film set opening-weekend records in the Asia Pacific region, in Latin America, and in individual countries including Argentina (first surpassed by Fast & Furious 6, when including weekday previews), Ecuador, Hong Kong, Indonesia, Vietnam, Taiwan, the Philippines, Malaysia, Singapore, Thailand, South Africa, and the United Arab Emirates. It also achieved the second-largest opening weekend in Mexico, Brazil, and Russia and the CIS. In India, it had the second-best opening weekend for a Hollywood film after The Amazing Spider-Man. IMAX opening-weekend records were set in Taiwan, the Netherlands, Brazil, and the Philippines. It is the highest-grossing film in Indonesia, Malaysia and Vietnam and the second highest-grossing film in Singapore and the Philippines (behind The Avengers). It topped the weekend box office outside North America three consecutive times. In China, where part of the production took place, the film set a midnight-showings record with $2.1 million, as well as single-day and opening-day records with $21.5 million (on its opening day). Through its first Sunday, the film earned an opening-weekend total of $64.1 million, making China's opening the largest for the film, followed by a $23.1 million opening in Russia and the CIS, and a $21.2 million opening in the UK, Ireland and Malta. With total earnings reaching $124 million, it was the highest-grossing American film in China in 2013, and the country is the film's highest-grossing market after North America, followed by South Korea ($64.2 million) and the UK, Ireland and Malta ($57.1 million). The review aggregator website Rotten Tomatoes reported a 79% approval rating with an average rating of 7/10 based on 286 reviews. The website's consensus reads, "With the help of its charismatic lead, some impressive action sequences, and even a few surprises, Iron Man 3 is a witty, entertaining adventure and a strong addition to the Marvel canon." Metacritic gave a score of 62 out of 100, based on 44 critics, indicating "generally favorable reviews". In an early review by the trade magazine The Hollywood Reporter, Todd McCarthy said that, "After nearly crashing and burning on his last solo flight in 2010, Iron Man returns refreshed and ready for action in this spirited third installment... [that] benefits immeasurably from the irreverent quicksilver humor of co-writer and director Shane Black. Calling the film "darker and more serious than its predecessors," Kenneth Turan of the Los Angeles Times credited Black for "chang[ing] this billion-dollar-plus franchise's tone for the better while keeping the same actor as Tony Stark. ... There is quite a bit of Black's trademark attitude and humor here as well, things like a throwaway reference to the sci-fi classic Westworld and a goofy character who has Tony Stark's likeness tattooed on his forearm. Black and company throw all kinds of stuff at the audience, and though it doesn't all work, a lot of it does and the attempt to be different and create unguessable twists is always appreciated." Rafer Guzman of Newsday characterized Iron Man as "the anti-Batman, all zip and zingers. He's also, suddenly, rather family-friendly. Some of the movie's best moments are shared by Stark and latchkey kid Harley (Ty Simpkins), who mock their budding father-son relationship while acting it out." Psychology Today concluded that the film presented an accurate portrayal of Tony Stark's posttraumatic stress disorder symptoms. Reacting more negatively, Stephen Whitty of The Star-Ledger found the film "slickly enjoyable" for the visual effects, but said, "[T]here's something empty about the film. Like Tony's suits, it's shiny and polished. But this time, there's nobody inside... This movie has neither the emotionalism of the first film, nor the flashy villains of the second... Tony's relationship with girlfriend Pepper Potts is in inexplicable jeopardy—and then simply fixes itself. A supposedly cute kid sidekick—a true sign of authorial desperation—is introduced, and then dropped." Michael Phillips of the Chicago Tribune echoed this, saying, "[I]n a gleefully cynical bid for a preteen audience (a few years too young for the violence in Iron Man 3, I'd say), Stark befriends a bullied 8-year-old [sic] (Ty Simpkins) who becomes his tag-along and sometime savior... Stark no longer needs to be in the Iron Man suit. He's able to operate the thing remotely when needed. The movie's like that too. It's decent superhero blockbustering, but rather remote and vaguely secondhand. At this point, even with Black's flashes of black humor, the machinery is more or less taking care of itself, offering roughly half of the genial wit and enjoyment of the first Iron Man." In March 2013, Black stated that Downey's original contract with Marvel Studios, which expired after the release of Iron Man 3, may be extended in order for the actor to appear in a second Avengers film and at least one more Iron Man film. He said: "There has been a lot of discussion about it: 'Is this the last Iron Man for Robert [Downey, Jr.]?' Something tells me that it will not be the case, and [he] will be seen in a fourth, or fifth." In April 2013, Cheadle stated that Iron Man 3 could be the final film in the series, saying, "The door is always left open in these kinds of movies especially when they do as well as they have done. I know there was talk of making sure we did this one right, and if it worked it could be the last one. There's room for more to be done with these characters. We're getting to a sweet spot with Tony and Rhodey, anyway." In September 2014, in regards to a fourth film, Downey said, "There isn't one in the pipe ... No, there's no plan for a fourth Iron Man." Despite this, in April 2016, Downey stated that he was open to reprising his role in a potential fourth Iron Man film, saying "I feel like I could do one more." In February 2014, Marvel released the One-Shot film, All Hail the King, on Thor: The Dark World's home media, featuring Kingsley reprising his role as Trevor Slattery, and continues Slattery's story from the end of the film. ^ As part of the deal transferring the distribution rights of Marvel's The Avengers and Iron Man 3 from Paramount Pictures to the Walt Disney Studios, Paramount's logo appears in the films' opening titles, promotional materials and merchandise. Nevertheless, Walt Disney Studios Motion Pictures is credited at the end of the film. ↑ As depicted in the 2012 film The Avengers. ↑ "Iron Man 3". British Board of Film Classification. Archived from the original on November 27, 2013. Retrieved April 11, 2013. ↑ Schaefer, Sandy. "'Iron Man 3' Begins Production; Secures Increased Budget". Screen Rant. Retrieved March 10, 2013. ↑ "Iron Man 3 (2013)". Box Office Mojo (Amazon.com). 1 2 Tsui, Clarence (May 1, 2013). "'Iron Man 3' China-Only Scenes Draw Mixed Response". The Hollywood Reporter. Archived from the original on February 23, 2014. Retrieved May 3, 2013. ↑ Lussier, Germain (September 30, 2013). "'Captain America: The Winter Soldier' Takes Place Two Years After 'The Avengers'". /Film. Archived from the original on September 30, 2013. Retrieved September 30, 2013. 1 2 "Marvel Studios Begins Production on Iron Man 3". Comingsoon.net (Press release). Marvel Studios. June 4, 2012. Archived from the original on September 3, 2012. Retrieved July 3, 2012. 1 2 3 4 5 6 "Iron Man 3 Characters". Marvel.com. April 18, 2013. Retrieved April 18, 2013. 1 2 Boucher, Geoff (August 18, 2011). "'Iron Man 3' and Robert Downey Jr. start Shane Black era". Los Angeles Times. Archived from the original on September 3, 2012. Retrieved September 3, 2012. 1 2 Radish, Christina (July 15, 2012). "Comic-Con: Robert Downey Jr., Don Cheadle, Shane Black and Kevin Feige Talk 'Iron Man 3', How 'The Avengers' Impacts the Film, Iron Patriot and More". Collider. Archived from the original on September 4, 2012. Retrieved September 4, 2012. 1 2 3 Harding, Oscar (May 30, 2013). "Iron Man 3 Exclusive Interview: Screenwriter Drew Pearce Talks The Mandarin Controversy, Mission Impossible 5, Sherlock Holmes 3 & More!". WhatCulture. Archived from the original on November 27, 2013. Retrieved June 28, 2013. ↑ "Iron Man 3: Under the Armor with Kevin Feige Pt. 2". Marvel.com. April 3, 2013. Archived from the original on April 24, 2013. Retrieved April 3, 2013. ↑ "'Iron Man 3' Cast and Director Shane Black Offer Character and Plot Details". ScreenRant. February 26, 2013. Archived from the original on November 27, 2013. Retrieved February 26, 2013. ↑ Bryson, Carey (March 14, 2013). "Kevin Feige: On Iron Man 3, Pepper Potts, and Marvel's Family Appeal". About.com. Archived from the original on April 24, 2013. Retrieved March 14, 2013. 1 2 "Producer Kevin Feige Talks 'Iron Man 3', How It Relates to 'The Avengers', The Mandarin, Iron Patriot, and More". Empire via Collider. November 26, 2012. Archived from the original on December 14, 2012. Retrieved November 27, 2012. ↑ Keyes, Rob (March 23, 2013). "Iron Man 3: The Story Behind Rhodey & The Iron Patriot Armor". Archived from the original on November 27, 2013. Retrieved March 27, 2013. 1 2 Graser, Marc; Kroll, Justin (April 20, 2012). "Guy Pearce bonds with 'Iron Man 3'". Variety. Archived from the original on September 3, 2012. Retrieved April 20, 2012. 1 2 "Iron Man 3: Under the Armor with Guy Pearce". Marvel.com. March 22, 2013. Archived from the original on March 23, 2013. Retrieved March 23, 2013. 1 2 Breznican, Anthony (May 4, 2013). "'Iron Man 3' does WHAT to The Mandarin? – Spoiler Analysis". Entertainment Weekly. p. 3 of online version. Archived from the original on December 13, 2013. Retrieved May 15, 2013. ↑ Risley, Matt (February 6, 2014). "All Hail The King: Drew Pearce Interview". Total Film. Retrieved February 6, 2014. ↑ Buchanan, Kyle (August 30, 2012). "Guy Pearce on Lawless, Prometheus, and Finely Calibrated Camp". New York / Vulture.com. Archived from the original on September 3, 2012. Retrieved September 3, 2012. ↑ Breznican, Anthony (May 4, 2013). "'Iron Man 3' does WHAT to The Mandarin? – Spoiler Analysis". Entertainment Weekly. p. 4 of online version. Archived from the original on December 13, 2013. Retrieved May 15, 2013. 1 2 3 Kit, Borys (May 8, 2012). "Rebecca Hall in Talks to Join 'Iron Man 3'". The Hollywood Reporter. Archived from the original on September 3, 2012. Retrieved May 10, 2012. 1 2 Graser, Marc; Sneider, Jeff (May 8, 2012). "Rebecca Hall nabs female lead in 'Iron Man 3'". Variety. Archived from the original on September 3, 2012. Retrieved September 3, 2012. ↑ Wieselman, Jarett (August 17, 2012). "What Scares Rebecca Hall?". Entertainment Tonight. Archived from the original on September 3, 2012. Retrieved September 3, 2012. ↑ Daniell, Mark (September 13, 2016). "Rebecca Hall says Marvel reduced her part in 'Iron Man 3'". Toronto Sun. Archived from the original on September 14, 2016. Retrieved September 14, 2016. 1 2 3 4 "Iron Man 3 Notes" (PDF). Marvel.com. Archived from the original on March 18, 2013. Retrieved March 18, 2013. ↑ "Stephanie Szostak Iron Man 3 'Brandt'". Dailymotion. April 18, 2013. Retrieved April 20, 2013. 1 2 3 4 5 6 7 Black, Shane; Pearce, Drew (2013). Audio commentary for Iron Man 3. Iron Man 3 Blu-Ray: Walt Disney Home Entertainment. 1 2 Fleming, Mike (May 16, 2012). "James Badge Dale In 'Iron Man 3' Talks". Deadline.com. Archived from the original on September 3, 2012. Retrieved September 3, 2012. ↑ Vineyard, Jennifer (October 15, 2012). "You Haven't Seen Every New Costume in Iron Man 3 Yet". New York / Vulture.com. Archived from the original on October 18, 2012. Retrieved October 18, 2012. ↑ Friedman, Roger (December 1, 2012). "James Badge Dale Will Play Lee Harvey Oswald's Brother". Showbiz411. Archived from the original on February 20, 2013. Retrieved December 3, 2012. 1 2 "Marvel at Comic-Con: Robert Downey Jr., Kevin Feige, Shane Black, Jon Favreau, Don Cheadle, Edgar Wright". Deadline.com. July 14, 2012. Archived from the original on September 3, 2012. Retrieved September 11, 2012. 1 2 Kit, Borys (April 9, 2012). "Ben Kingsley in Talks to Join 'Iron Man 3'". The Hollywood Reporter. Archived from the original on September 3, 2012. Retrieved April 10, 2012. ↑ Truitt, Brian (October 26, 2012). "Ben Kingsley makes for a scary Mandarin in 'Iron Man 3'". USA Today. Archived from the original on October 26, 2012. Retrieved October 26, 2012. ↑ Douglas, Edward (May 6, 2012). "Exclusive: Sir Ben Kingsley's Iron Man 3 Character Still Being Developed". Superherohype.com. Archived from the original on September 3, 2012. Retrieved September 3, 2012. ↑ Ryan, Mark (April 29, 2013). "Ben Kingsley, 'Iron Man 3' Star, On The Challenges of Playing The Mandarin". Huffington Post. Archived from the original on November 27, 2013. Retrieved April 30, 2013. ↑ Douglas, Edward (April 29, 2008). "Exclusive: An In-Depth Iron Man Talk with Jon Favreau". SuperheroHype.com. Archived from the original on February 27, 2013. Retrieved April 29, 2008. 1 2 Doty, Meriah (March 5, 2013). "'Iron Man 3': The Mandarin's origins explained!". Yahoo!. Archived from the original on April 24, 2013. Retrieved March 6, 2013. ↑ Kit, Zorianna (April 23, 2013). ""Iron Man 3" goes back to basics in a quest to save the U.S.". Reuters. Archived from the original on April 27, 2013. Retrieved April 26, 2013. ↑ Burlingame, Russ (May 11, 2013). "Iron Man 3 Exclusive: Ty Simpkins Talks Cut Kiss Scene & 3 Picture Deal". Comicbook.com. Archived from the original on October 30, 2014. Retrieved November 1, 2013. 1 2 Sneider, Jeff; Graser, Marc (May 24, 2012). "Ashley Hamilton in talks for 'Iron Man 3'". Variety. Archived from the original on September 3, 2012. Retrieved May 25, 2012. 1 2 Plumb, Ali (March 6, 2013). "28 Must-Pause Moments From The New Iron Man 3 Trailer". Empire. Archived from the original on March 12, 2013. Retrieved March 12, 2013. 1 2 3 4 5 "Film Facts". Spotlight on FiOS. (September/October 2013). p. 5. ↑ Vary, Adam B. (May 6, 2013). "How 'Happy Endings' Star Adam Pally Ended Up In "Iron Man 3"". Archived from the original on December 13, 2013. Retrieved May 31, 2013. ↑ Harris, Scott (May 6, 2013). "'Iron Man 3': 7 Things You May Have Missed the First Time Around". Next Movie. Retrieved December 26, 2014. 1 2 Morrow, Terry (August 14, 2012). "Bearden native plugs into 'Iron Man 3' role". Knoxville.com. Archived from the original on September 3, 2012. Retrieved September 3, 2012. 1 2 Finke, Nikki (December 9, 2012). "'Iron Man 3' Casts China's Wang Xuequi As New 'Dr Wu': Beijing Filming Starts Monday". Deadline.com. Archived from the original on February 20, 2013. Retrieved December 9, 2012. ↑ "Fan Bingbing joins 'Iron Man 3'". China Internet Information Center. January 5, 2013. Archived from the original on February 20, 2013. Retrieved January 7, 2013. 1 2 Zakarin, Jordan (March 29, 2013). "Marvel to Release Special Chinese Cut of 'Iron Man 3'". The Hollywood Reporter. Archived from the original on April 24, 2013. Retrieved March 30, 2013. Marvel announced Friday that the third film in its Iron Man franchise, a joint production of the Disney-owned Marvel Pictures and Beijing-based DMG Entertainment, will be tailor-made for Chinese audiences. All versions of the film will feature scenes shot in Beijing, product placement for Chinese electronics manufacturer TCL and co-star Wang Xueqi, but a version cut for the world's most populous nation also will boast "specially prepared bonus footage" and an appearance by megastar Fan Bingbing. ↑ Frankel, Daniel (May 10, 2010). "Will There Be an 'Iron Man 3' – and Whose Will It Be?". The Wrap. Archived from the original on September 3, 2012. Retrieved May 12, 2010. ↑ Frankel, Daniel (October 18, 2010). "Breaking: Disney to Distribute 'Iron Man 3' and 'The Avengers'". The Wrap. Archived from the original on September 3, 2012. Retrieved September 3, 2012. ↑ Ward, Kate (October 18, 2010). "'Iron Man 3' to come to theaters in 2013". Entertainment Weekly. Archived from the original on September 3, 2012. Retrieved September 3, 2012. ↑ "Jon Favreau Talks Iron Man 3 and Avengers Success". FilmFodder.com. May 14, 2012. Archived from the original on September 3, 2012. Retrieved July 3, 2012. ↑ Sneider, Jeff (December 14, 2010). "No Favreau? 10 Directors Who Could Take Over 'Iron Man 3'". The Wrap. Archived from the original on December 15, 2010. ↑ Svetkey, Benjamin (May 13, 2016). "'Lethal Weapon' Wunderkind (and Former Party Boy) Shane Black Is Back ... and Still Looking for Action". The Hollywood Reporter. Archived from the original on November 27, 2016. Retrieved November 27, 2016. ↑ Finke, Nikki; Fleming, Mike (February 17, 2011). "Shane Black To Direct Marvel's 'Iron Man 3'". Deadline.com. Archived from the original on September 3, 2012. Retrieved September 3, 2012. 1 2 "Shane Black talks direction of Iron Man 3 and whether or not to expect more Marvel cameos!". Ain't It Cool News. March 7, 2011. Archived from the original on September 3, 2012. Retrieved September 3, 2012. ↑ Fleming, Mike (March 31, 2011). "Marvel Taps Its 'Runaways' Scribe Drew Pearce To Write 'Iron Man 3' Script". Deadline.com. Archived from the original on September 3, 2012. Retrieved September 3, 2012. ↑ Ryan, Mike (May 16, 2016). "Shane Black On 'The Nice Guys,' Mel Gibson, And Why A Female 'Iron Man 3' Villain's Gender Changed". Uproxx. Archived from the original on May 16, 2016. Retrieved May 16, 2016. ↑ "Michigan Loses Iron Man 3 to North Carolina". Superherohype.com. September 27, 2011. Archived from the original on September 3, 2012. Retrieved September 3, 2012. ↑ Weintraub, Steve (April 12, 2012). "Kevin Feige Talks 'Thor 2', 'Captain America 2', 'Iron Man 3', the 'Avengers' Sequel, 2014 and 2015 Releases, Another 'Hulk' Sequel, and a Lot More!". Collider.com. Archived from the original on April 12, 2012. Retrieved April 12, 2012. 1 2 "Marvel's 'Iron Man 3' to Be Co-Produced in China" (Press release). The Walt Disney Company Chin via Business Wire. April 16, 2012. Archived from the original on April 16, 2012. Retrieved April 16, 2012. ↑ Coonan, Clifford (April 16, 2012). "'Iron Man 3' to be a Chinese co-production". Variety. Archived from the original on April 29, 2013. Retrieved April 29, 2013. ↑ "Is Andy Lau Going to be Cast as The Mandarin in "Iron Man 3?" EDIT: NOT The Mandarin but Tony Stark's Friend". Neonpunch.com. April 24, 2012. Archived from the original on September 3, 2012. Retrieved April 20, 2012. ↑ "Stark rejection: Andy Lau turns down role in Iron Man 3". China Times. June 22, 2012. Archived from the original on September 3, 2012. Retrieved September 3, 2012. ↑ Shuai, Liu (September 3, 2012). "Wang Xueqi Confirmed for 'Iron Man 3'". Chinesefilms.cn. Archived from the original on September 3, 2012. Retrieved September 3, 2012. ↑ Kit, Borys (April 23, 2012). "Jessica Chastain in Talks to Join 'Iron Man 3'". The Hollywood Reporter. Archived from the original on September 3, 2012. Retrieved April 24, 2012. ↑ Lang, Brent (May 25, 2012). "Jon Favreau Won't Direct 'Iron Man 3,' But He Will Play Happy Hogan Again". The Wrap. Archived from the original on September 3, 2012. Retrieved July 3, 2012. ↑ Fleming, Mike (July 14, 2012). "Stephanie Szostak Joins Cast Of 'Iron Man 3': Comic-Con". Deadline.com. Archived from the original on September 3, 2012. Retrieved July 16, 2012. ↑ Finn, Natalie (June 28, 2012). "New Hero Cameo? Villain Reveal? Which Iron Man 3 Secrets Will Be Revealed at Comic-Con?!". E!. Archived from the original on September 3, 2012. Retrieved July 3, 2012. ↑ "All though...". Cobie Smulders verified Twitter page. August 5, 2012. Archived from the original on September 3, 2012. Retrieved August 5, 2012. All though it would be fun I'm not in IM3, I think there was some confusion because I'm shooting the movie Safe Haven right next door in NC. 1 2 Foss, Cassie (June 4, 2012). "Fans get a sneak peek from the set of 'Iron Man 3'". Star-News. Wilmington, North Carolina. Archived from the original on September 3, 2012. Retrieved September 3, 2012. ↑ "John Toll, ASC Relies on Codex for Iron Man 3". Codex Digital. Archived from the original on February 23, 2014. Retrieved February 22, 2014. ↑ Carlson, Jonathan (June 4, 2012). "'Iron Man 3' shoot comes to Epic Games in Cary". NBC-17. Archived from the original on September 3, 2012. Retrieved September 3, 2012. ↑ Zanga, Caitlin (May 24, 2013). "Explore where 'Iron Man 3' was created". Archived from the original on February 23, 2014. Retrieved June 26, 2013. ↑ Heffernan, Sloane (June 4, 2012). "'Iron Man 3' starts filming at Cary's Epic Games". Raleigh, North Carolina: WRAL-TV. Archived from the original on September 3, 2012. Retrieved September 3, 2012. 1 2 3 Failes, Ian (May 6, 2013). "'Iron Man 3': more suits to play with". FX Guide. Archived from the original on May 7, 2013. Retrieved May 7, 2013. 1 2 Iron Man 3 Unmasked. Iron Man 3 Blu-Ray: Walt Disney Home Entertainment. 2013. ↑ Foss, Cassie (July 20, 2012). "'Iron Man 3' skydivers, crew filming aerial drops over ocean". Star-News. Wilmington, North Carolina. Archived from the original on September 3, 2012. Retrieved September 3, 2012. ↑ Deconstructing The Scene: Attack On Air Force One. Iron Man 3 Blu-Ray: Walt Disney Home Entertainment. 2013. ↑ "'Iron Man 3' filming locations in Rose Hill and Wilmington N.C. through September 7, 2012". On Location Vacations. July 31, 2012. Archived from the original on September 3, 2012. Retrieved September 3, 2012. ↑ "Robert Downey Jr. Injured on Set of 'Iron Man 3'". MSN. August 15, 2012. Archived from the original on September 3, 2012. Retrieved August 16, 2012. ↑ Han, Angie (August 21, 2012). "Sequel Bits: 'Avengers 2′, 'Iron Man 3′, 'Dumb and Dumber 2′, 'Machete Kills', 'Fast Six', 'Evil Dead', 'The Hobbit'". /Film. Archived from the original on September 3, 2012. Retrieved September 3, 2012. ↑ Weiner, David (April 24, 2013). "Broken Ankle No Big Thing for Downey as 'Iron Man'". Entertainment Tonight. Archived from the original on February 23, 2014. Retrieved February 22, 2014. ↑ Satchell, Arlene (September 11, 2012). "Iron Man 3 to film in Dania, nearby areas". Sun Sentinel. South Florida. Archived from the original on April 24, 2013. Retrieved September 11, 2012. ↑ Nealey, Joshua (October 1, 2012). "Robert Downey Jr returns to 'Iron Man 3' set after injury". Hypable.com. Archived from the original on November 7, 2012. Retrieved November 7, 2012. ↑ Breznican, Anthony (October 2, 2012). "'Iron Man 3' back underway after Robert Downey Jr. injury". Entertainment Weekly. Archived from the original on October 4, 2012. Retrieved October 4, 2012. ↑ Sentenac, Hannah (October 4, 2012). "Iron Man 3: Robert Downey Jr., Don Cheadle, and Guy Pearce on Location in Miami". Miami New Times. Archived from the original on October 4, 2012. Retrieved October 4, 2012. ↑ Brooks, Kathy (September 21, 2012). "Miami Beach No. LTC #240–2012 – Upcoming Filming in Miami Beach" (PDF). Miami Beach Government. Archived from the original on February 20, 2013. Retrieved February 20, 2013. ↑ Foss, Cassie (October 22, 2012). "'Iron Man 3' star visits Battleship North Carolina". Star-News. Wilmington, North Carolina. Archived from the original on October 23, 2012. Retrieved October 23, 2012. ↑ Franker, Kara (November 1, 2012). "'Iron Man 3' Wraps Filming at Vizcaya Museum and Gardens". VisitFlorida.com. Archived from the original on November 7, 2012. Retrieved November 7, 2012. 1 2 Catlett, Cacky (November 7, 2012). "Filming for 'Iron Man 3' wraps in Hollywood East". Wilmington, North Carolina: WWAY-TV. Archived from the original on December 14, 2012. Retrieved December 14, 2012. ↑ Baksi, Dibyojyoti (January 7, 2013). "Indian techies to rescue Iron Man?". Hindustan Times. Archived from the original on February 20, 2013. Retrieved January 7, 2013. ↑ Radish, Christina (January 12, 2013). "Don Cheadle Talks HOUSE OF LIES Season 2, IRON MAN 3, Shane Black, the Success of FLIGHT, and More". Collider.com. Archived from the original on February 20, 2013. Retrieved January 13, 2013. ↑ McNary, Dave (January 22, 2013). "'Iron Man 3' shoots at Chinese Theater". Variety. Archived from the original on February 20, 2013. Retrieved January 24, 2013. 1 2 Hellard, Paul (May 7, 2013). "'Iron Man 3' – Production Focus". CG Society. Archived from the original on May 22, 2013. Retrieved May 22, 2013. ↑ Goldberg, Matt (October 15, 2012). "'Ant Man' Set for November 6, 2015; 'Iron Man 3' and 'Thor: The Dark World' Confirmed for 3D; Disney Announces More Release Dates and Changes". Collider.com. Archived from the original on February 20, 2013. Retrieved November 8, 2012. 1 2 Vlessing, Etan (January 22, 2013). "Marvel's 'Iron Man 3' to Get Imax Release". The Hollywood Reporter. Archived from the original on February 20, 2013. Retrieved January 22, 2013. ↑ Giardina, Carolyn (February 14, 2013). "'Oblivion,' 'The Croods,' 'Monsters University,' 'Iron Man 3' Will Get Atmos Treatment". The Hollywood Reporter. Archived from the original on February 23, 2014. Retrieved February 23, 2014. ↑ "Brian Tyler to Score 'Iron Man 3'". Film Music Reporter. October 11, 2012. Archived from the original on October 11, 2012. Retrieved October 11, 2012. 1 2 Schweiger, Daniel (April 29, 2013). "Audio: On The Score With Bryan Tyler". Film Music Magazine. Archived from the original on November 27, 2013. Retrieved November 27, 2013. 1 2 "Marvel Music/Hollywood Records Presents Marvel's Iron Man 3 Original Motion Picture Score Soundtrack Available on April 30th" (Press release). Marvel Entertainment. April 4, 2013. Archived from the original on November 27, 2013. ↑ "Heroes Fall Album of Music Inspired By Marvel's "Iron Man 3" Set For Release April 30" (Press release). Walt Disney Records. March 28, 2013. Archived from the original on February 23, 2014. Retrieved February 23, 2014. ↑ "Gwyneth Paltrow at The 'Iron Man 3' Red Carpet Premiere: Pepper Potts Goes Floral (PHOTOS)". The Huffington Post. April 14, 2013. Archived from the original on April 24, 2013. Retrieved April 16, 2013. ↑ Brinaire, Jack (April 22, 2013). ""Iron Man 3": les coulisses de la première mondiale". La Nouvelle République du Centre-Ouest (in French). Archived from the original on February 23, 2014. Retrieved February 23, 2014. ↑ Kemp, Stuart (April 12, 2013). "'Iron Man 3' U.K. Premiere Pushed Back for Margaret Thatcher Funeral". The Hollywood Reporter. Archived from the original on April 24, 2013. Retrieved April 12, 2013. ↑ "Iron Man 3 Stars Hit London Premiere". MTV UK. April 19, 2013. Archived from the original on February 23, 2014. Retrieved February 22, 2013. ↑ Clark, Noelene (April 24, 2013). "'Iron Man 3' Hollywood red carpet premiere: Watch it live". Los Angeles Times. Archived from the original on April 27, 2013. Retrieved April 25, 2013. ↑ Stewart, Andrew (April 25, 2013). "'Iron Man 3' Ignites Summer B.O. Overseas". Variety. Archived from the original on February 23, 2014. Retrieved February 22, 2014. 1 2 Subers, Ray (May 3, 2013). "Forecast: 'Iron Man 3' in Line for One of the Biggest Openings Ever". Box Office Mojo. Retrieved May 8, 2013. ↑ Finke, Nikki (April 16, 2013). "'Iron Man 3' Tickets Not on Sale Yet By Some Theater Chains Because of Dispute With Disney: Movie Due May 3rd". Deadline.com. Archived from the original on April 24, 2013. Retrieved April 18, 2013. ↑ Verrier, Richard (April 24, 2013). "Regal pulls marketing materials for 'Iron Man 3'". Los Angeles Times. Archived from the original on April 27, 2013. Retrieved April 24, 2013. ↑ Finke, Nikki (April 25, 2013). "AMC And Disney End Renegotiation Dispute: Advance Ticket Sales For 'Iron Man 3′ Begin". Deadline.com. Archived from the original on April 27, 2013. Retrieved April 25, 2013. ↑ Verrier, Richard (April 25, 2013). "Regal makes peace with Disney on 'Iron Man 3'". Los Angeles Times. Archived from the original on April 27, 2013. Retrieved April 27, 2013. ↑ "Cinepolis Online - Iron Man 3 4DX Esp". Cinepolis. Cinepolis. Archived from the original on February 24, 2014. Retrieved October 25, 2013. ↑ "Iron Man 3 - Major Cineplex (see the 'system type' section)". Major Cineplex. Major Cineplex Group Plc. Archived from the original on February 24, 2014. Retrieved October 25, 2013. ↑ Blair, Gavin (April 16, 2013). "'Iron Man 3' to Become First Film to Play in 4DX Format in Japan". The Hollywood Reporter. Archived from the original on April 24, 2013. Retrieved April 16, 2013. ↑ Perry, Spencer (July 14, 2012). "Comic-Con: See the All New Iron Man 3 Armor!". Superherohype.com. Archived from the original on September 3, 2012. Retrieved September 11, 2012. ↑ Patten, Dominic (January 28, 2013). "Super Bowl XLVII To Air 6 Studio Film Ads". Deadline.com. Archived from the original on April 24, 2013. Retrieved February 27, 2013. 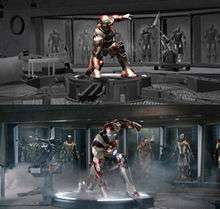 ↑ "Iron Man 3 Reveals Mark XXXIII and XL Armors". ComingSoon.net. March 25, 2013. Archived from the original on February 23, 2014. Retrieved March 26, 2013. ↑ Hunt, James (January 2, 2013). "Iron Man 3 Prelude No. 1". Comic Book Resources. Retrieved April 16, 2013. ↑ "Audi Celebrates the U.S. Premiere of Iron Man 3". Audi of America. April 25, 2013. Archived from the original on February 23, 2014. Retrieved February 23, 2014. ↑ Beyers, Tim (May 10, 2013). "2 Reasons to Believe Tony Stark Would Buy Oracle Stock". The Motley Fool. Archived from the original on February 23, 2014. Retrieved February 23, 2014. 1 2 Seitz, Patrick (May 3, 2013). "Iron Man swoops in to help Verizon, Audi, Subway, TCL". Investors.com. Archived from the original on February 23, 2014. Retrieved February 23, 2014. ↑ Lei, Tu (May 14, 2013). "Getting noticed". Global Times. Retrieved February 22, 2014. ↑ Carle, Chris (May 3, 2013). "Iron Man 3 LEGO: A Closer Look". IGN. Archived from the original on February 23, 2014. Retrieved February 22, 2014. ↑ Weintraub, Steve (February 9, 2013). "Toy Fair 2013: Images and Info on Iron Man 3, Transformers, Kre-o G.I. Joe, and More". Collider.com. Archived from the original on February 23, 2014. Retrieved February 23, 2014. ↑ Saltzman, Mark (May 2, 2013). "'Iron Man 3': Official game soars to App Store". USA Today. Archived from the original on February 23, 2014. Retrieved June 8, 2013. ↑ Glover, Erin (March 28, 2013). "Iron Man Tech Presented by Stark Industries Coming to Innoventions at Disneyland Park". The Disney Parks Blog. Archived from the original on February 23, 2014. Retrieved March 28, 2013. ↑ "'Iron Man 3' monorail wrapper debuts at Disney World:". Central Florida News. March 25, 2013. Archived from the original on February 23, 2014. Retrieved March 28, 2013. ↑ Goldman, Eric (April 12, 2013). "Disneyland Introduces Their First Marvel Exhibit with Iron Man Tech". Archived from the original on February 23, 2014. Retrieved April 13, 2013. ↑ Latchem, John (June 28, 2013). "'Iron Man 3' Bows Digitally Sept. 3, on Disc Sept. 24". Home Media Magazine. Archived from the original on November 27, 2013. Retrieved June 28, 2013. ↑ Keyes, Rob (June 25, 2013). "'Iron Man 3' Blu-ray To Include Agent Carter Short Film". ScreenRant. Archived from the original on February 24, 2014. Retrieved June 25, 2013. ↑ Arnold, Thomas K. (October 2, 2013). "'Iron Man 3' Debuts at No. 1 on Home Video Sales Charts". The Hollywood Reporter. Archived from the original on February 24, 2014. Retrieved February 23, 2014. ↑ "Final Twilight Saga film named top-selling DVD of 2013". BBC. December 14, 2013. Archived from the original on February 24, 2014. Retrieved February 23, 2014. ↑ "Iron Man 3 gross". the-numbers.com. Retrieved January 31, 2015. ↑ "Global: 'Iron Man 3' $28.6M Biggest IMAX Wekeend in History". Boxoffice.com. May 6, 2013. Retrieved May 8, 2013. ↑ Finke, Nikki (May 17, 2013). "Update: 'Iron Man 3′ Box Office Crosses $1B Global And $300M Domestic". Deadline.com. Archived from the original on May 17, 2013. Retrieved May 17, 2013. ↑ Miller, Daniel (May 10, 2013). "Disney's 'Iron Man 3' also a boon for Paramount". Los Angeles Times. Archived from the original on February 27, 2014. Retrieved May 26, 2013. ↑ Fleming Jr, Mike (March 21, 2014). "2013 Most Valuable Blockbuster Tournament Tip-Off – #1 'Iron Man 3′ Vs. #16 'The Conjuring'; #8 'Gravity' Vs. #9 'Man Of Steel'". Deadline.com. Archived from the original on March 22, 2015. Retrieved March 22, 2015. ↑ "Comic Book Adaptation". Box Office Mojo. Retrieved May 25, 2013. ↑ "Superhero". Box Office Mojo. Retrieved May 25, 2013. ↑ "Opening Day Records at the Box Office". Box Office Mojo. Retrieved May 8, 2013. ↑ Subers, Ray (May 5, 2013). "Weekend Report: 'Iron Man 3' Takes Off with Second-Highest Opening Ever". Box Office Mojo. Archived from the original on November 27, 2013. Retrieved May 8, 2013. 1 2 McClintock, Pamela (April 25, 2013). "Box Office Report: 'Iron Man 3' Scores $13.2 Million Opening Day Overseas". The Hollywood Reporter. Archived from the original on April 27, 2013. Retrieved April 25, 2013. 1 2 McClintock, Pamela (April 28, 2013). "Box Office Report: 'Iron Man 3' Opens to Massive $198.4 Million Overseas, Bigger Than 'Avengers'". The Hollywood Reporter. Archived from the original on May 2, 2013. Retrieved May 2, 2013. 1 2 "Marvel's 'Iron Man 3' Opens at $7.1 Million in 113 International IMAX Theatres". Boxoffice.com. April 29, 2013. Retrieved May 2, 2013. ↑ Finke, Nikki (April 28, 2013). "'Iron Man 3' Breaking Records Overseas: $195.3M". Deadline.com. Archived from the original on May 2, 2013. Retrieved May 2, 2013. 1 2 "Updated: China: 'Iron Man 3' Breaks All Opening Day Records". Boxoffice.com. May 2, 2013. Retrieved May 3, 2013. 1 2 "Global: 'Iron Man 3' Domestic Premiere Pushes $680.1M Global Cume". Boxoffice.com. May 5, 2013. Retrieved May 8, 2013. 1 2 Kozlov, Vladimi (May 8, 2013). "'Iron Man 3' Sets Box Office Records in Russia". The Hollywood Reporter. Archived from the original on May 8, 2013. Retrieved May 8, 2013. ↑ "Updated: Global: 'Iron Man 3' Crosses $300M". Boxoffice.com. May 2, 2013. Archived from the original on April 5, 2016. Retrieved May 2, 2013. ↑ Chu, Karen (May 20, 2013). "'Iron Man 3' Passes $13 Million in Hong Kong; Becomes All-time Third Highest Grossing Film". The Hollywood Reporter. Archived from the original on June 6, 2013. Retrieved June 6, 2013. ↑ McClintock, Pamela (April 26, 2013). "Box Office Report: 'Iron Man 3' Scores Early Foreign Total of $36.5 Mil". The Hollywood Reporter. Archived from the original on April 27, 2013. Retrieved April 26, 2013. ↑ McClintock, Pamela (May 27, 2013). "Box Office Report: 'Fast 6' No. 1 With $300 Million Globally; 'Hangover III' Sputters". The Hollywood Reporter. Prometheus Global Media. Archived from the original on August 23, 2012. Retrieved May 27, 2013. ↑ "Ecuador All Time Opening Weekends". Box Office Mojo. Retrieved February 27, 2014. ↑ "Global: 'Iron Man 3' $198.4M Shatters Records, 'Croods' Crosses $300M Cume". Boxoffice.com. April 29, 2013. Retrieved May 2, 2013. ↑ "'Iron Man 3' Scores Second-Highest Ever Opening Weekend in Brazil". Boxoffice.com. May 1, 2013. Retrieved May 2, 2013. ↑ Sheikh, Aminah (April 28, 2013). "'Iron Man 3' earns Rs. 30 crore in opening weekend in India". Livemint. Archived from the original on November 27, 2013. Retrieved May 14, 2013. ↑ "GLOBAL: 'Iron Man 3' Reaches $949M; 'Star Trek Into Darkness' Opens In 7 Markets For $31.7M". May 12, 2013. Retrieved May 12, 2013. 1 2 Kaufman, Amy (May 17, 2013). "'Iron Man 3' makes $1 billion worldwide, $300 million domestically". Archived from the original on May 17, 2013. Retrieved May 17, 2013. ↑ "Walt Disney Studios announces Domestic, International, and Global record-setting year of $4.73 Billion". boxoffice.com. January 2, 2013. Archived from the original on January 2, 2014. Retrieved January 2, 2014. ↑ Subers, Ray (May 12, 2013). "Weekend Report: 'Gatsby' Great, But 'Iron Man' Leads Again". Retrieved June 6, 2013. ↑ "'Iron Man 3' Debuts With Record-Setting $64M Opening Week". May 8, 2013. Retrieved May 17, 2013. ↑ Bai Shi (Beijing Review) (February 9, 2014). "Hollywood Takes a Hit". english.entgroup.cn. EntGroup Inc. Archived from the original on February 27, 2014. Retrieved February 10, 2014. ↑ "Iron Man 3 (2013)". Rotten Tomatoes. Retrieved 19 July 2015. ↑ "Iron Man 3 (2013): Reviews". Metacritic (CBS Interactive). Retrieved January 31, 2015. ↑ McCarthy, Todd (April 23, 2013). "'Iron Man 3': Film Review". The Hollywood Reporter. Archived from the original on November 27, 2013. Retrieved November 27, 2013. ↑ Turan, Kenneth (May 2, 2013). "Review: 'Iron Man 3' Smartly Reboots the Suit Midflight". Los Angeles Times. Archived from the original on November 27, 2013. Retrieved November 27, 2013. ↑ Guzman, Rafer (May 1, 2013). "'Iron Man 3' Review: Fresh and Funny". Newsday. Archived from the original on November 27, 2013. Retrieved May 4, 2013. ↑ Langley, Travis (May 4, 2013). "Does Iron Man 3's Hero Suffer Posttraumatic Stress Disorder?". Psychology Today. Archived from the original on November 27, 2013. Retrieved May 5, 2013. ↑ De Semlyen, Nick. "Iron Man 3". Empire. Archived from the original on November 27, 2013. Retrieved May 4, 2013. ↑ Rothkopf, Joshua (April 30, 2013). "Iron Man 3: Movie Review". Time Out New York. Archived from the original on November 27, 2013. Retrieved May 4, 2013. ↑ Whitty, Stephen (April 29, 2013). "'Iron Man 3' Review: A Franchise Starts to Get Rusty". The Star-Ledger. Newark, New Jersey. Archived from the original on November 27, 2013. Retrieved May 4, 2013. ↑ Phillips, Michael (April 30, 2013). "'Iron Man 3': High Anxiety for Tony Stark". Chicago Tribune. Archived from the original on November 27, 2013. Retrieved May 4, 2013. ↑ "Disney, 'Iron Man 3' Dominate 2013 Golden Trailer Awards". Deadline.com. May 5, 2013. Archived from the original on May 10, 2013. Retrieved May 10, 2013. ↑ "Cliff Martinez and Top Composers Honored at the 2013 BMI Film & TV Awards". BMI. May 16, 2013. Archived from the original on February 28, 2014. Retrieved February 23, 2014. ↑ Ng, Philiana (May 22, 2013). "Teen Choice Awards: 'Twilight: Breaking Dawn - Part 2' Leads First Wave of Nominees". The Hollywood Reporter. Archived from the original on November 27, 2013. Retrieved November 27, 2013. ↑ Atkinson, Katie (August 11, 2013). "2013 Teen Choice Awards: Miley Cyrus, 'Glee,' 'Twilight' win big". Entertainment Weekly. Archived from the original on November 27, 2013. Retrieved November 27, 2013. ↑ "People's Choice Awards 2014: The winners list". CNN. January 9, 2014. Archived from the original on March 30, 2014. Retrieved March 30, 2014. ↑ Bowles, Scott (January 9, 2014). "'Gravity' soars to top of best-reviewed movies of 2013". USA Today. Archived from the original on February 28, 2014. Retrieved February 28, 2014. ↑ Gray, Tim (December 16, 2013). "Critics Choice Awards: '12 Years,' 'American Hustle' Earn 13 Nominations Each". Variety. Archived from the original on February 28, 2014. Retrieved December 16, 2013. ↑ Bacardi, Francesca (January 14, 2014). "'Gravity' Tops Visual Effects Society Nominations". Variety. Archived from the original on February 28, 2014. Retrieved January 14, 2014. ↑ Bacardi, Francesca (January 15, 2014). "Sound Editors Announce 2013 Golden Reel Nominees". Variety. Archived from the original on February 28, 2014. Retrieved January 15, 2014. ↑ Tapley, Kristopher. "'Gravity' and '12 Years a Slave' lead MPSE Golden Reel Awards nominations". HitFix. Archived from the original on February 28, 2014. Retrieved January 15, 2014. ↑ Cohen, David S. (January 14, 2014). "Cinema Audio Society Noms Zig Where Others Zag". Variety. Archived from the original on March 16, 2014. Retrieved March 16, 2014. ↑ Davis, Clayton (February 3, 2014). "Awards Circuit Opens Community Awards, Staff Announces Best of 2013, Academy Idol Top 5 Open". Awards Circuit. Retrieved February 3, 2014. ↑ Brown, Tracy (January 16, 2014). "Oscar nominations 2014: The complete list". Los Angeles Times. Archived from the original on February 28, 2014. Retrieved February 28, 2014. ↑ Ng, Philiana (February 24, 2014). "Nickelodeon's Kids' Choice Awards Nominations Revealed". The Hollywood Reporter. Archived from the original on February 28, 2014. Retrieved February 25, 2014. ↑ Couch, Aaron; Washington, Arlene (March 29, 2014). "Nickelodeon's Kids' Choice Awards: The Winners". The Hollywood Reporter. Archived from the original on March 30, 2014. Retrieved March 30, 2014. ↑ "LMGA Award Nominees". Location Managers Guild of America. Archived from the original on February 28, 2014. Retrieved February 18, 2014. ↑ "'Game of Thrones,' 'The Secret Life of Walter Mitty,' 'Iron Man 3′ Win Top Honors At First Annual Location Managers Guild Awards". Deadline.com. March 29, 2014. Retrieved April 1, 2014. ↑ Keyes, Rob. "Shane Black Teases Robert Downey Jr.'s Return For Iron Man 4 & 5". Screen Rant. Retrieved March 10, 2013. ↑ Hewitt, Chris (April 24, 2013). "Don Cheadle Talks Iron Man 3". Empire. Archived from the original on April 27, 2013. Retrieved April 24, 2013. ↑ Khatchatourian, Maane (September 7, 2014). "Robert Downey Jr: No Plans for 'Iron Man 4′". Variety. Archived from the original on September 7, 2014. Retrieved September 7, 2014. ↑ Melrose, Kevin (April 27, 2016). "Robert Downey Jr. Hints at "Iron Man 4": "I Could Do One More"". Comic Book Resources. Archived from the original on May 13, 2016. Retrieved April 27, 2016. ↑ Breznican, Anthony (January 9, 2014). "Marvel One-Shot: First Look at Ben Kingsley's Mandarin encore in 'All Hail the King' short film -- EXCLUSIVE". Entertainment Weekly. Archived from the original on January 9, 2014. Retrieved January 9, 2014. ↑ Graser, Marc (October 11, 2011). "Why Par, not Disney, gets 'Avengers' credit". Variety. Archived from the original on October 12, 2011. Retrieved October 12, 2011. ↑ Stewart, Andrew (May 10, 2013). "Paramount's Super Payoff for 'Iron Man 3'". Variety. Archived from the original on April 5, 2016. Retrieved July 27, 2013.